I am trying to update the geometry of some features (polygons) to allow stretching / shrinking in the X and Y planes, but am struggling to get this to work for multipart polygons and for those with an inner ring (donut polygons). I am struggling to find a solution online and with weak Python skills and suspect something simple is wrong in my code - possibly indentation in the final part of the program? Two issues arise in this code- 1.) multipart polygons are only updated for their first part and therefore become single part, and 2.) the inner ring is lost in the donut polygon. 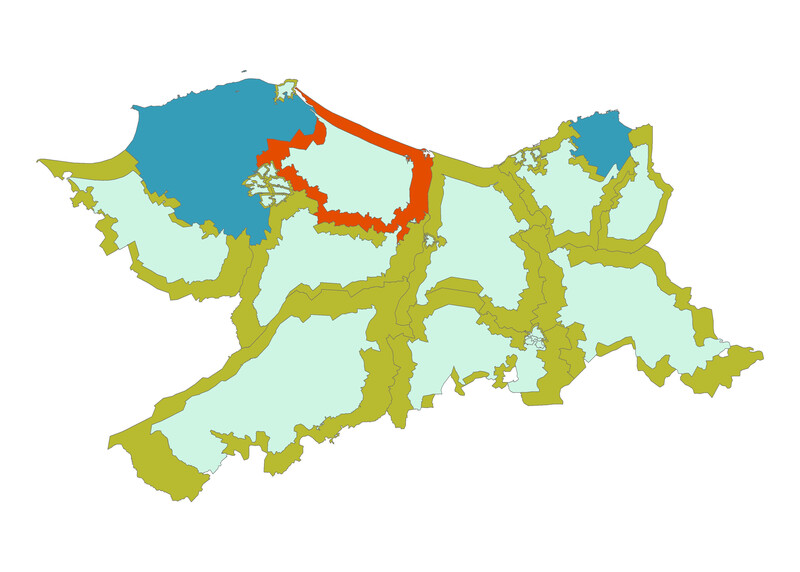 Attaching a before processing and after image to show the issue, shapefile and code. Looking at the after image (cyan polygons), my blue (multipart) polygons are not replicated properly, and my donut polygon (red) becomes a single area with no inner gap. Is this just indentation, or do I need more looping to deal with the multipart & inner ring logic correctly? I figured this out now - it was my own weaknesses with Python. In case it is of any use, here is the working code. Main changes being the addition of an array for the parts and moving the declaration of it and the point array outside the loop through the parts. Not the answer you're looking for? Browse other questions tagged arcpy geometry multipart donut-polygons or ask your own question. 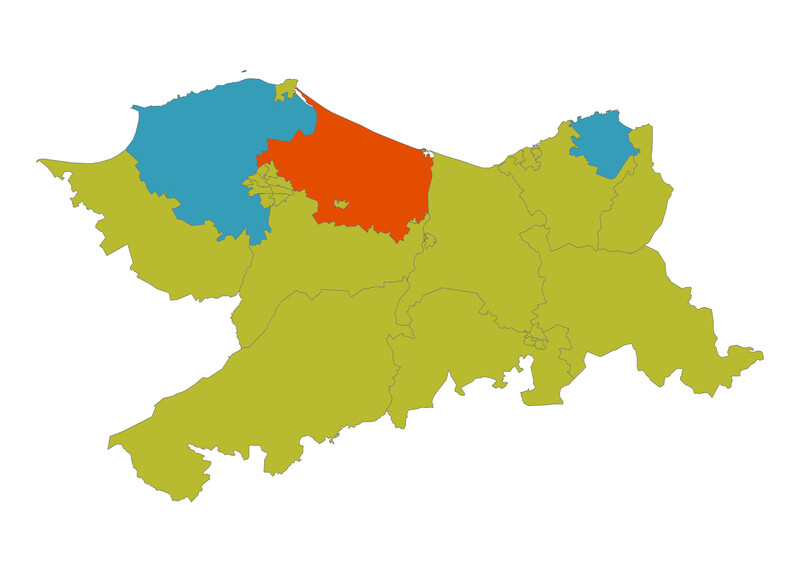 ArcGIS 10.0/arcpy: How to create a polygon geometry from inner and outer ring point arrays? Creating Multipart Line from coordinate pair lists using Geometry objects in ArcPy? 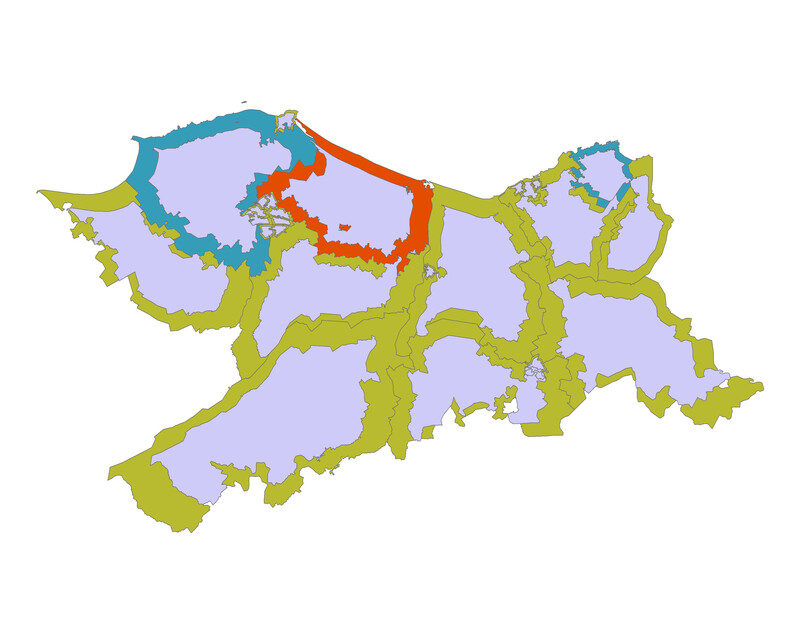 Changing order of parts in multipart geometry using ArcGIS for Desktop (or ArcPy)?